new cottage 3 stars 15 minutes from gerardmer. 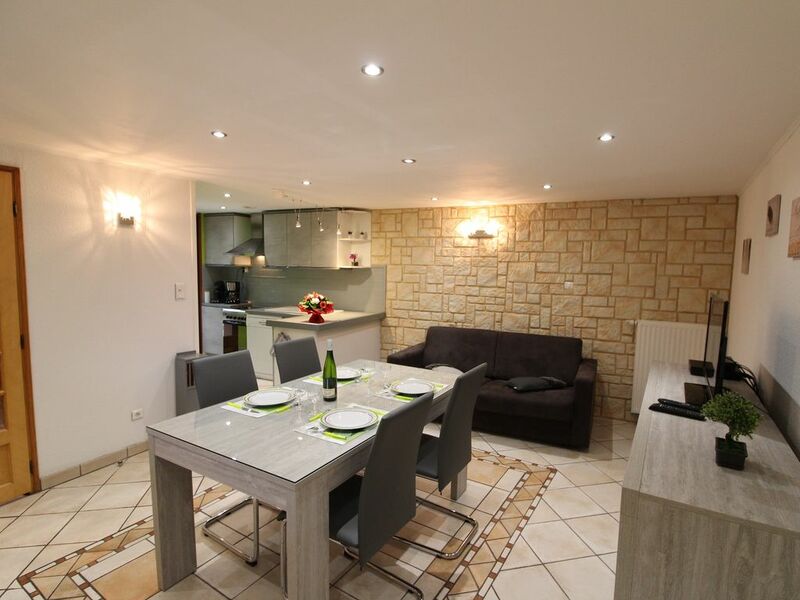 Gite 3 stars located in the heart of the village. VIENVILLE is located 15 minutes from gerardmer, a small village typically Vosges .GITE REMAINS A NINE IN DECEMBER 2017. Very comfortable. Oil central heating. Enclosed garden with trees. . Possibility: linen. Inflatable pool. Very calm. - Alpine and Nordic skiing at 15 minutes. hiking mountain bike and peder on the spot. calm and relaxation are assured.Material baby has provision (bed umbrella, high chair, deckchair, gantry ...) ground of 2500 m2. A 300 EUROS DEPOSIT WILL BE ASKED FOR YOUR ARRIVAL.